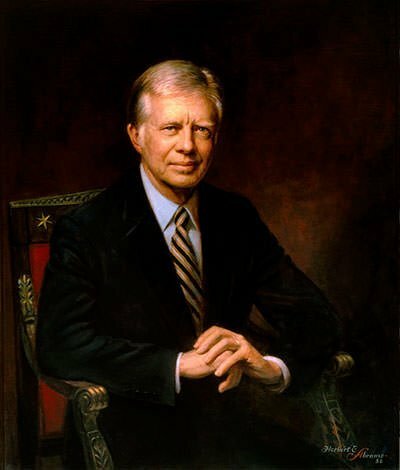 James Earl Carter Jr. (born October 1, 1924), better known as Jimmy Carter, is an American politician who served as the 39th President of the United States. Before becoming president, he served in the US Navy, the Georgia Senate and then as the 76th Governor of Georgia. As President, among other things, Carter’s domestic policy saw efforts to improve the education, the energy policy and the environment. The Department of Energy and Department of Education were established during his presidency. He also improved industrial growth through deregulation. In foreign affairs, Jimmy Cater was key in negotiating a peace settlement between Israel and Egypt; and he improved relations with Panama by giving them control of the Panama Canal. Post presidency, Jimmy Carter established the Carter Center to advance human rights and alleviate human suffering. He was awarded the Nobel Peace Prize in 2002. Know more about the contribution of James Carter through his 10 major accomplishments. James Carter attended the U.S. Naval Academy and graduated in wartime 3 years with the Class of 1946. He left active duty on October 9, 1953 after 7 years, 4 months, and 8 days. His awards include the American Campaign Medal; World War II Victory Medal; China Service Medal; and National Defense Service Medal. The political career of Carter was launched with a seat on his local board of education. In 1962, he won election to the Georgia State Senate as a Democrat. He served as a Member of the Georgia Senate from January 14, 1963 to January 10, 1967. In 1966, Carter ran for the governor’s office but finished a disappointing third. In 1970, he ran again for the governorship and won. James Carter served as the 76th Governor of Georgia from January 12, 1971 to January 14, 1975. As governor, he organized a massive structural reform reducing the number of bodies to increase efficiency and reduce costs. In addition to reorganizing the state government, he also focused on improving the weak educational system of the state. In 1974, just before his term as governor ended, James Carter announced his candidacy for the Democratic nomination for president. Though he was little known at the national level, Carter won the Democratic nomination through tireless and systematic campaigning. He thus entered the presidential race as the dark horse candidate. 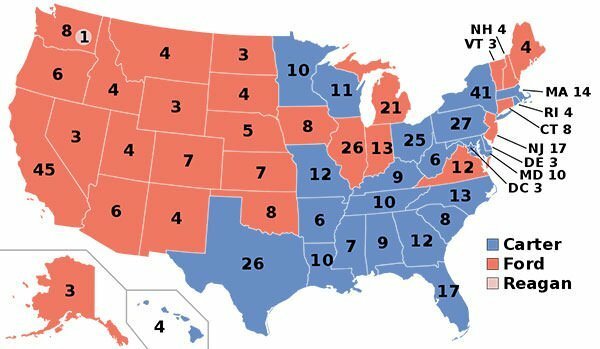 In the United States presidential election of 1976, Jimmy Carter defeated incumbent Republican President Gerald Ford. He won 51 percent of the popular vote and gathered 297 electoral votes to Ford’s 240. James Earl Carter Jr. served as the 39th President of the United States from January 20, 1977 to January 20, 1981. His presidency ended with his defeat in the 1980 presidential election to Republican nominee Ronald Reagan. When Jimmy Carter took over as President, energy policy was one of the greatest challenges facing the nation. The United States, at the time, consumed twice as much energy, per capita, as other developed nations. 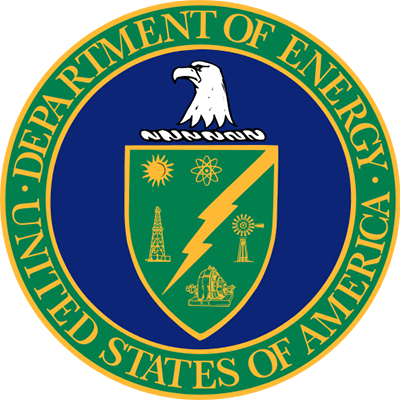 On August 4, 1977, President Carter signed into law The Department of Energy Organization Act, thus creating the Department of Energy (DOE). The DOE aimed to formulate and implement a comprehensive, long-term national energy strategy. It remains a cabinet-level department. Its responsibilities include energy conservation, energy-related research, radioactive waste disposal and domestic energy production. It also oversees the nation’s nuclear weapons program and the nuclear reactor production for US Navy. The DOE sponsors more research in the physical sciences than any other US federal agency. 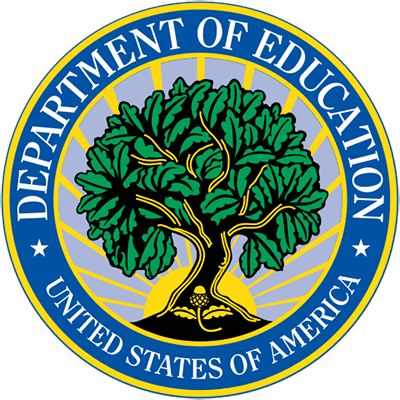 In his address to the White House on February 28, 1978, President Carter argued, “Education is far too important a matter to be scattered piecemeal among various Government departments and agencies.” On October 17, 1979, Carter signed into law the Department of Education Organization Act establishing the United States Department of Education (ED). The Act split the Department of Health, Education and Welfare into the ED and the Department of Health and Human Services. The ED remains a cabinet-level department. It aims to foster educational excellence and to ensure equal access to educational opportunity for all. The Head Start is a program which provides comprehensive early childhood education, health and nutrition to low income children and their families. President Carter expanded the Head Start program with the addition of 43,000 children and families. The Carter administration pushed for deregulation of the industry. On October 24, 1978, Jimmy Carter signed into law the Airline Deregulation Act which deregulated the airline industry in the United States. It removed U.S. federal government control over such areas as fares, routes and market entry of new airlines. This ultimately led to a great increase in the number of flights, a decrease in fares and an increase in the number of passengers and miles flown. However, the Act did not diminish the regulatory powers of the Federal Aviation Administration (FAA) over all aspects of aviation safety. In 1979, Carter deregulated the American beer industry by making it legal to sell malt, hops and yeast to American home brewers. In 1978, the USA had just 44 domestic breweries. Today, there are over 1,400 American breweries. The Carter administration also deregulated oil, trucking and railroads. Jimmy Carter signed several bills which aimed to improve the environment. On August 3, 1977, he signed into law the Surface Mining Control and Reclamation Act of 1977 (SMCRA). The SMCRA regulated the environmental effects of coal mining in the U.S. through the creation of two programs: one for regulating active coal mines and a second for reclaiming abandoned mine lands. 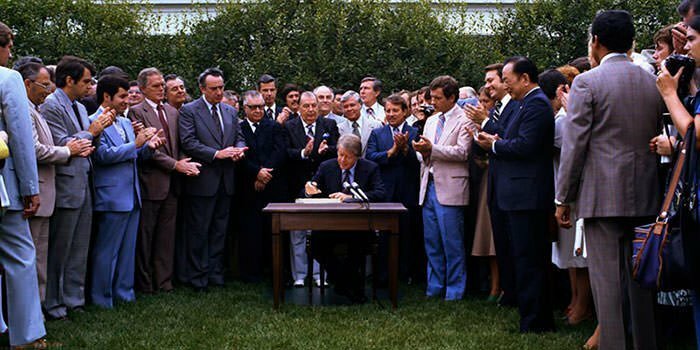 On December 2, 1980, President Carter signed into law the Alaska National Interest Lands Conservation Act. The Act doubled the amount of public land set aside for national parks and wildlife refuges. Jimmy Carter also established the Superfund through the Comprehensive Environmental Response, Compensation, and Liability Act of 1980. The Superfund is a United States federal government program designed to fund the cleanup of sites contaminated with hazardous substances and pollutants. On assuming office, Jimmy Carter decided to use his influence to mediate the long-running Arab–Israeli conflict. By the end of his first year in office, he had already met with Anwar Sadat of Egypt, King Hussein of Jordan, Hafez al-Assad of Syria and Yitzhak Rabin of Israel. He was able to convince Anwar Sadat to visit Israel in 1978. Carter then invited Egyptian President Anwar Sadat and Israeli Prime Minister Menachem Begin to the presidential retreat of Camp David in September 1978. Following twelve days of secret negotiations at Camp David, the two leaders signed the Camp David Accords at the White House. 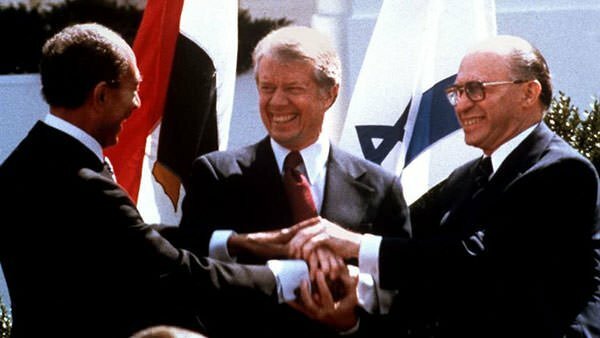 The Camp David Accords comprise two separate agreements: “A Framework for Peace in the Middle East” and “A Framework for the Conclusion of a Peace Treaty between Egypt and Israel”. The second of these led to the Egypt–Israel Peace Treaty signed on March 26, 1979. Jimmy Carter played a critical role in the treaty getting done and he himself viewed the agreement as his most important accomplishment in office. In 1903, Panama had signed a treaty with the United States that gave the U.S. rights to the Panama Canal Zone. Since the 1960s, Panama wanted to re-negotiate this treaty and thus the Panama Canal had become a subject of dispute between Panama and the United States. Believing that it was morally right, President Carter wanted to return the Panama Canal to Panama. On September 7, 1977, the Torrijos–Carter Treaties were signed by the United States and Panama. The treaties were named after Jimmy Carter and the Commander of Panama’s National Guard, General Omar Torrijos. The first treaty gave the United States permanent right to defend the Panama Canal from any threat that might interfere with its continued neutral service to ships of all nations. The second treaty gave Panama the full control of the canal from 12:00 on December 31, 1999. 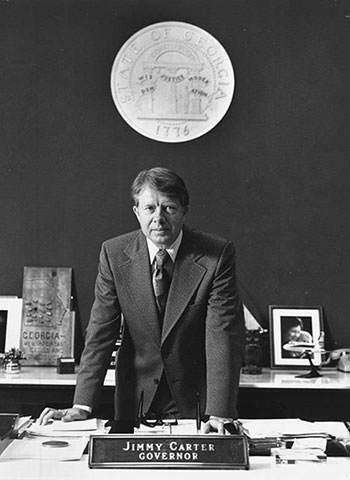 After losing the presidential election of 1980, in 1982, Jimmy Carter founded the Carter Center; a nongovernmental, not-for-profit organization which aims to advance human rights and alleviate human suffering. The Carter Center has helped improve the quality of life for people in more than 80 countries. It has many projects like mediating conflicts between warring states; intervening with heads of states on behalf of victims of human rights abuses; and monitoring the electoral process in support of free and fair elections. The Carter Center also works to improve global health through the control and eradication of diseases such as Guinea worm disease, river blindness, malaria, trachoma, lymphatic filariasis, and schistosomiasis. Among its major achievements is the elimination of more than 99 percent of cases of Guinea worm disease, from an estimated 3.5 million cases in 1986 to 23 cases in 2015. Apart from the Carter Center, Jimmy Carter has also worked actively as a diplomat to bring peace to various regions. In 1994, President Bill Clinton sought Carter’s assistance in a North Korea peace mission. Though Carter was able to negotiate an agreement, the settlement collapsed as a result of a dispute between later leaders of North Korea and the US. Jimmy Carter was involved in various other diplomatic efforts including an effort to bring peace in the Middle East. He was also part of the Elders, an international non-governmental organization of public figures who work together for peace and human rights. 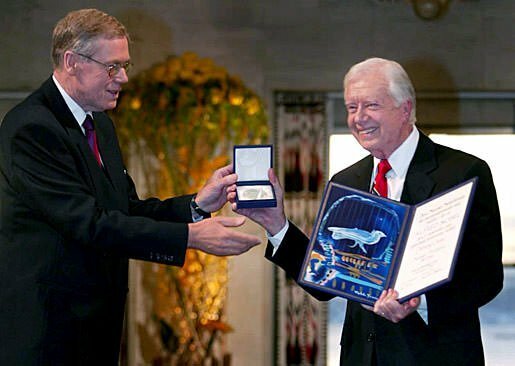 In 1999, Jimmy Carter received the Presidential Medal of Freedom, the highest civilian honor in the United States. In 2002, he was awarded the Nobel Peace Prize for his work “to find peaceful solutions to international conflicts, to advance democracy and human rights, and to promote economic and social development“.